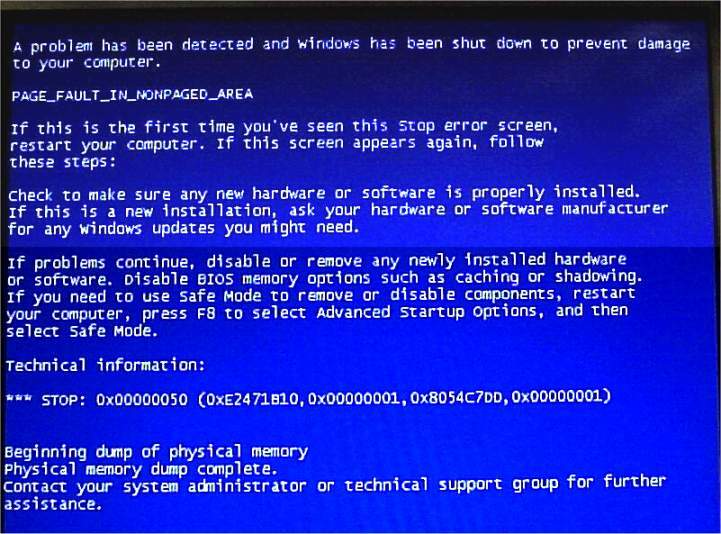 PAGE_FAULT_IN_NONPAGED_AREA errors are very tricky because there are no any calculated issues or cause present behind this error. This error can appear because of software or hardware or a bad driver. So before starting troubleshooting or trying to fix them keep a close eye on the brackets present just after to an error. Text present under the brackets usually points out to a file/app/software/driver that is causing these issues. Sometime PAGE_FAULT_IN_NONPAGED_AREA (cpuz138_x64.sys) error is occurring because of the software known as Speccy. So, it is suggested to update this software in the manner to fix any internal bug. If error still persists after updating the software then you might have to remove or uninstall it. Another common software related error is PAGE_FAULT_IN_NONPAGED_AREA (applecharger.sys) which occurs by an application known as ON/OFF developed by Gigabyte. Simply uninstall or remove this app in order to fix this problem. Method 2 – Uninstall, rollback or update your audio or display driver. PAGE_FAULT_IN_NONPAGED_AREA (usbaudio.sys) indicates that system’s audio driver is causing these issues, so it is suggested to update it and if updating doesn’t work then uninstall it. Step 1: Go to the Device Manager and find audio or display driver. Step 2: Right click on it and select uninstall if you want to use the default audio driver, or if you want to use the previous version of drivers then Rollback the Driver. Step 3: If you select to uninstall drivers then select Delete the driver software for this device and click on OK. Step 4: After it you must be using default or earlier version of drivers depending on your choice. If you are still unable to fix the problem then it is recommended to download the latest Windows 10 drivers by visiting graphic card manufacturer or sound card manufacturer. All the above given tricks or methods are able to fix this issue, but in case you are unable to get rid of this error then make sure that RAM of your system is error free. A faulty RAM can also generate this issue, so if you have any extra RAM then replace it with your system’s RAM. You can also try an automatic way to get rid of this error, use professionally programmed PC Error Repair Tool for Windows 10. This app is specially designed to deal with all types of Windows 10 error and so it is suggested to use it once.